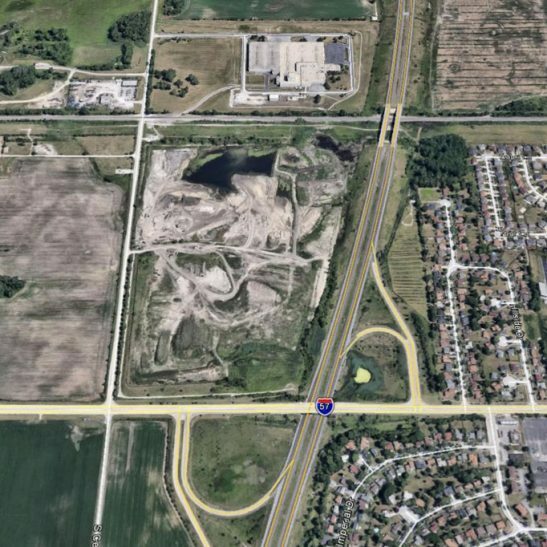 The Richton Park site was originally home to a 12.4-acre landfill, as well as a borrow pit for Interstate 57 construction in the early 1970s. The property is currently part of an ongoing Clean Construction and Demolition Debris (CCDD) fill operation to bring the site up to grade and prepare the property for a commercial development. CEG has assisted the client in weekly NPDES inspection and reporting, as well as annual facility IEPA reporting. In anticipation of future site development, CEG provided Mass Grading and Erosion Control Plans which included the design of the site stormwater management facility for the ultimate end use. CEG obtained a “Stormwater Only” permit from the Metropolitan Water Reclamation District of Greater Chicago (MWRDGC). The onsite detention facility was sized to meet MWRDGC requirements with the inclusion of perimeter native plantings to offset environmental impacts of the future development and reduce potential stormwater runoff. 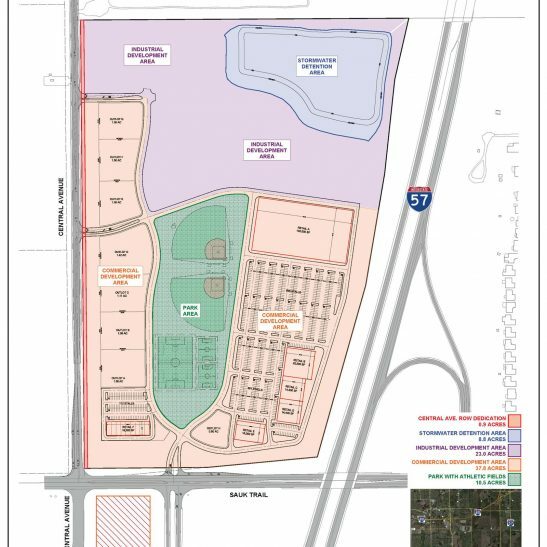 Under confined design parameters, including the avoidance of the closed landfill onsite and maximizing development area restricted by the existing MWRDGC permit, CEG has worked intimately with the owner to design the future commercial development which incorporates access, stormwater management and site grading. The ultimate site development will also include offsite roadway improvements to Central Avenue including appropriate turn lanes, two full access driveways and utility extensions. All permitting for roadway improvements to be coordinated with the Cook County Highway Department.